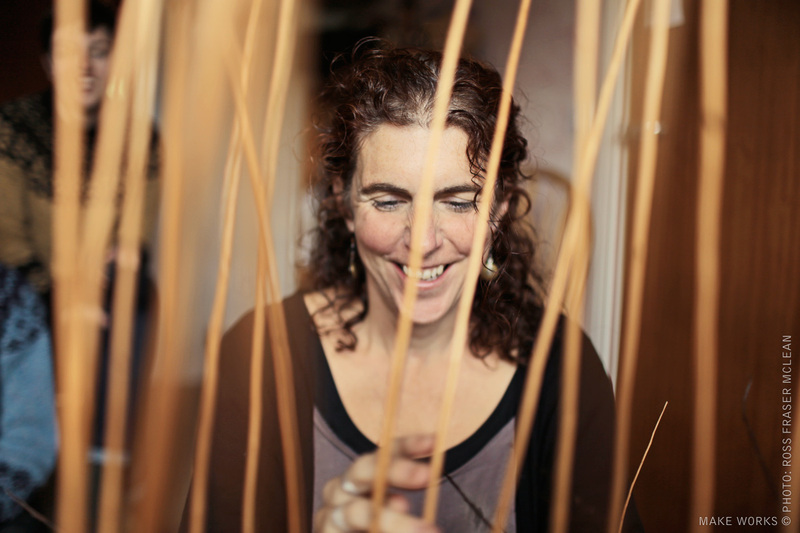 Julie has been willowweaving and making basketry things for over 15 years now. Originally trained by professional makers in England, Scotland and Ireland she makes a range of traditional and contemporary items. Working mainly with willow she also loves experimenting with other materials. She enjoys sharing her skills and is an experienced teacher offering classes for adults and children that can be adapted to suit a groups needs. She has recently moved to East Sussex from Scotland where she had her own studio on the Isle of Arran and was chair of the Scottish Basketmakers’ Circle. She enjoys being by the sea and is still based on the coast now in Hastings. About Julie's Services Julie offers a range of baskets made to order on a commission basis, and living willow fences, arbours and sculptures to suit your garden or play area. She also runs regular classes for adults or can provide workshops can be tailored to your groups needs. She will also give private tuition on request.